Airship Connect delivers user-level information about push sends, conversions, and uninstall events. Adding Airship's unique information to Amplitude gives you a full view of what’s going on in and around your app. 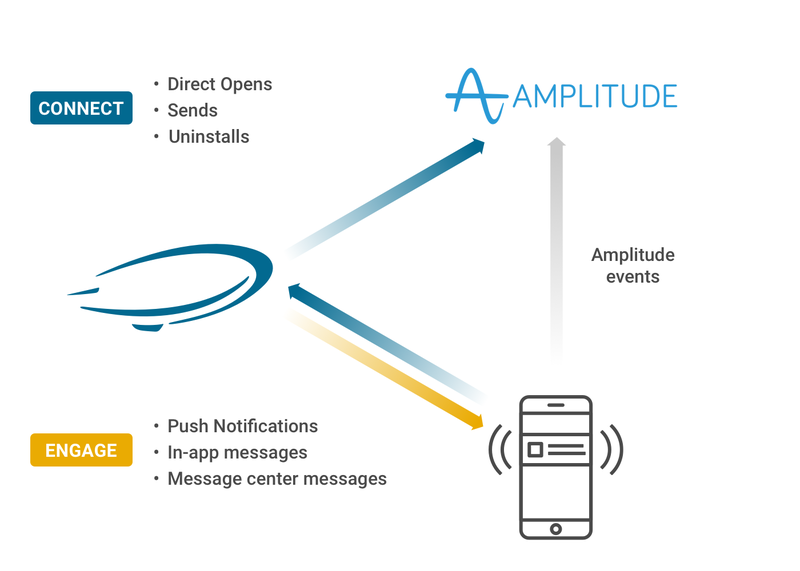 By adding user-level mobile engagement data to your Amplitude data, you can leverage Amplitude Behavioral Cohorts for targeting via Airship. Once your contract details are in order, the setup is straightforward. Below is a summary checklist, followed by detailed instructions. We will also send you to the Amplitude documentation for the Amplitude-specific steps. Install Airship and Amplitude SDKs in your project. Set Airship channel as a custom User Property in Amplitude. Associate users with IDFA for iOS and AAID for Android, using Airship's ID Matching feature. Add respective credentials to Airship and Amplitude dashboards to enable segmentation for behavioral cohorts. On the Amplitude end, follow the steps in the Airship/Amplitude Integration Guide. We'll see you back here shortly. Associate your Amplitude user’s identifierForVendor (IDFA, for iOS) or Advertising Identifier (AAID, for Android) with the Airship channel ID. See ID Matching for details on this feature. If the IDFA or AAID isn’t set on the user, Airship will not send over any data. We will only send events that have the IDFA/AAID associated with them. Under the Connections heading, click Amplitude. Enter your Amplitude API key, found in your Amplitude app settings. Now that the setup is complete, Airship will send events from this app to your Amplitude instance, and you can start reporting.